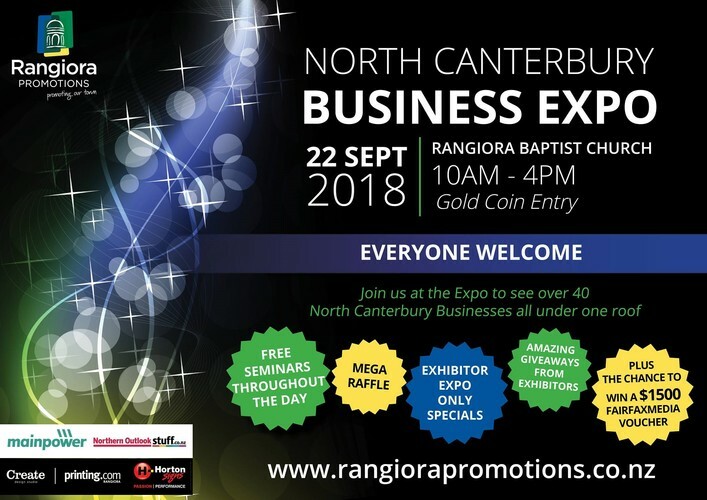 The North Canterbury Business Expo will showcase the many wonderful businesses available within our district and provide customers and businesses alike a prime opportunity to view all of these services under one roof. Don't miss out on the 'Expo Only Specials' which several of our businesses are offering at the event, as well as the chance to enter prize draws for some amazing prizes. The event also features a fantastic line up of free Seminars starting from 10:40am - 4:00pm and for a full Seminar Schedule please visit the Rangiora Promotions website.